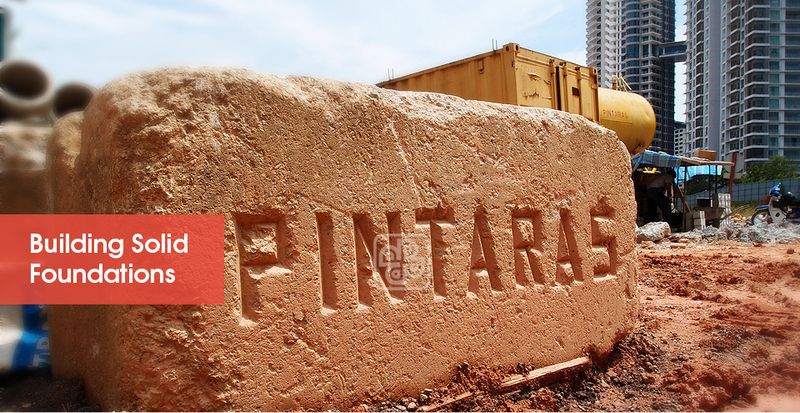 We apply our principle of building solid foundations not just to buildings and physical structures, but also Pintaras as a whole. We remain true to our core values that drive the way we do business, in this case, our very own “foundations”. We endeavour to provide our clients with efficient and economical solutions without compromising on quality. To this end, our people are highly committed and involved in their respective roles. Our hands-on approach in every project has always made a significant difference in the quality and timeliness of work delivered. Furthermore, active participation provides our people with invaluable experience to hone their skills and expertise. Doing what we do well is not an easy goal. It is a continuous process of learning, innovating and evolving to stay competitive within the industry. While being encouraged by our accomplishments from time to time, we shall not become complacent, as there is much more to be done in order to keep moving forward. We operate in an honest, responsible and ethical manner that allows people to repeatedly place their trust and confidence in us. Professional integrity enables us to maintain long-lasting business relations with our clients and suppliers, while personal integrity allows our people to develop mutual respect and support for each other at the workplace. Having experienced various economic cycles in the construction industry over the years, we always find ourselves emerging stronger after every period of downturn. We view challenges, whether big or small, as learning opportunities to refine our capabilities and to differentiate ourselves further. At Pintaras, we strive to foster a dynamic and challenging environment for our people to realise their full potential. Copyright © 2019 Pintaras Jaya Berhad. All Rights Reserved.